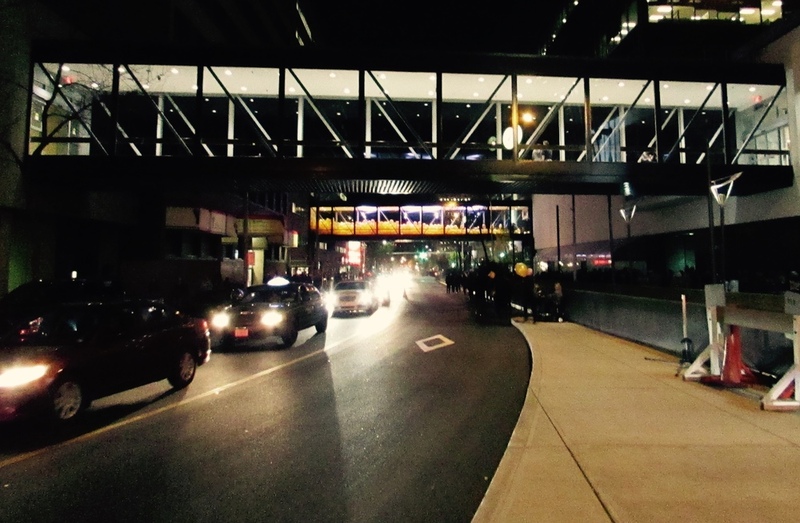 I was so excited to explore Edmonton, Alberta's first Nuit Blanche! This all-night (from 7 pm until 4 am) contemporary art event took place in the city's downtown core and was made up of more than 30 artworks, performances, and interactive exhibits. This festival began in Paris in 2002 and since then has spread to cities all over the world! Exhibits included an artist building a high-rise out of bouncy castles, steam-rolling various items in a makeshift hockey rink, playing soccer on uneven surfaces, and more! Here are just a few of the incredible exhibits that I got to experience. This work had no weight, shape or dedicated outcome. One of the city's pedways was filled with 12-inch, yellow balloons that took up half of the volume of the space. Visitors were then let inside to explore and play in the space. There were only a few people allowed in at a time. In this beautiful exhibit, 121 trees were placed in Churchill Square (the main square in front of City Hall), and participants were asked to write a wish on a tag and tie it to one of the branches of the tree. At the end of the event, the wishes were collected and sent to the Imagine Peace Tower in Iceland. The trees were planted throughout the city. 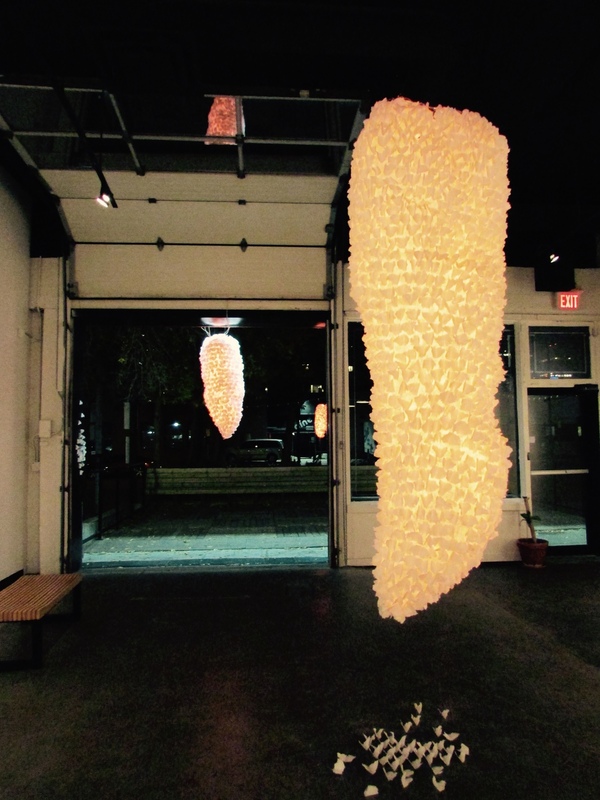 Made with paper and LED lighting, these beautiful sculptures represented both the dimensions of human bodies, and migratory clouds of monarch butterflies that spilled through a local gallery. This performance piece was moving, and unsettling. It was meant to be a study of identity and to ask the questions: Who are you? Why are you here? What gifts do we have to offer? We were invited to paint strips of paper to attach to the frame that surrounded the people that were staring at each other, not speaking, while sitting at a table.